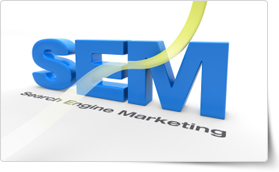 Search Engine Marketing (SEM) or Pay-Per-Click (PPC) advertising with Google Adwords™ is a great way to guarantee your business can be found on page one of a Google search. Well written ads and landing pages can help your business by increasing online sales and attracting potential customers who are searching for your products or services. In this Google Adwords training course, you will learn how to efficiently conduct relevant keyword research and generate Google AdWords campaigns that increase traffic, grow leads, improve your website’s rank on various search engines such as Google, Yahoo!, Bing, etc, and outshine your competitors. We will also review some of the best practices and reveal tested strategies that will help you improve your Quality Score and reduce your cost-per-click (CPC). Now available throughout Hong Kong, this Google Adwords training course can be done with our expert local or international trainers at your chosen venue and schedule. This is the second course I have done with Curtis at the trainer, as last time he was attentive and attuned to my needs, he happily went over ground that I have difficulty picking up and made the learning environment fun and interesting. I would happily recommend PD Training as a training organization with a good venue, facilities and location along with quality trainers. I will definitely be back to further my knowledge in 2012. Learn what to do and what not to do with your Google Adwords™ campaigns so that you get the most out of your advertising dollars. This course will show you some of the best practices related to running ad campaigns using the Adwords interface. Delivered by a professional internet marketing consultant with over 8 years of experience using Adwords™, this course teaches you how to create new leads and generate traffic to your website. Don’t start an Adwords™ campaign without first attending this insightful course aimed at teaching you how to improve your Click-Through-Rate (CTR) while reducing your Cost-per-Click (CPC).